For almost one week straight my schedule is loaded but this time not of workloads but of social invitation from friends and others. I even cancelled two meet ups yesterday - one from Fashion Rocks Qatar on their free facial and nail treatment for me and the other one is a dinner-coffee date with M sisters. And the reason for all of those its one of the Super Friends birthday celebration. As I have said on my posts lately, we're just counting the days being together and I don't wanna missed happy moments being with them. We arrived at the place, and their staffs welcomed us, and since we are in a big number they asked us if we made a reservation. Kuya Eugene told them that since the other day he made the reservation, the staffs are not aware until the supervisor talked to Kuya and they found out that Kuya called and reserved to other branch...nyahahaha, wow mali lang ang peg. Look keenly at the last photo in line, do they really look brother? as most of the people think they are. Most of the people I know whether its a circle or two, are usually friends with their same generations. But as I make this post, naisip ko lang bakit ako nga mas marami yung friends ko from older generation. Don't get me wrong when I say "generation gap" all I want to point out is generation is not a hindrance for friendship to last. If in marriage they say that age doesn't matter well in friendship generation gap is not strange as well. My girl best friend and I has more than 20 years age gap, other closed friends I have is more than 10 years gap with me. I don't believe in generation gap when it comes to friendship. I was the youngest before in SF but now I am one of the "ate" too. Though we have generation gap we can still dance in each others beat and hum in one another music genre. In any relationship like friendship we must know the fact that each one of us has different attitudes, likes and dislikes, weaknesses and strengths as such we must ready to accept each other despite of all things we know and things that we will discover. Since we had our dinner near to Starbucks, we just take a walk para naman bumaba ang mga kinain namin.. 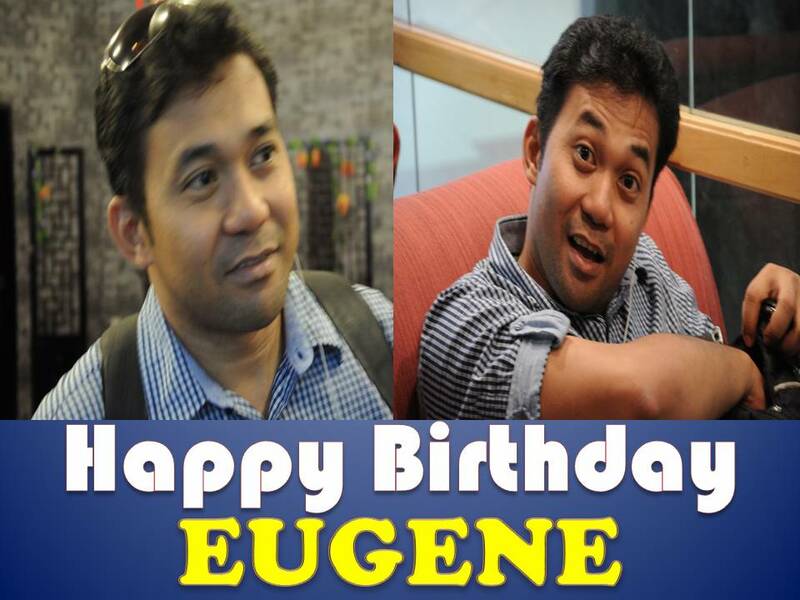 HAPPY HAPPY BIRTHDAY KUYA EUGENE! Once again, Happy Birthday Kuya Eugene! Thank you for the busog lusog night and more over to the friendship. We love you! God bless you more. Truly month of May is always loaded of fun, laughter, dinner, coffee dates and memorable moments. And not to forget tomorrow, last day of May is SF Marvin's birthday! Thank you Lord for all the blessings and for the gift of friendship with each other. We learn, we cry, we laugh, we're friends, no matter how big the generation gap is.